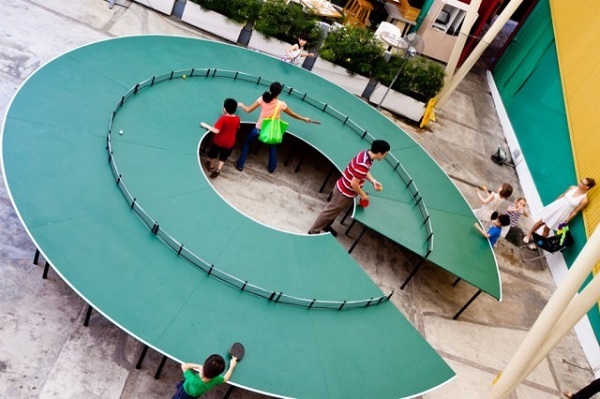 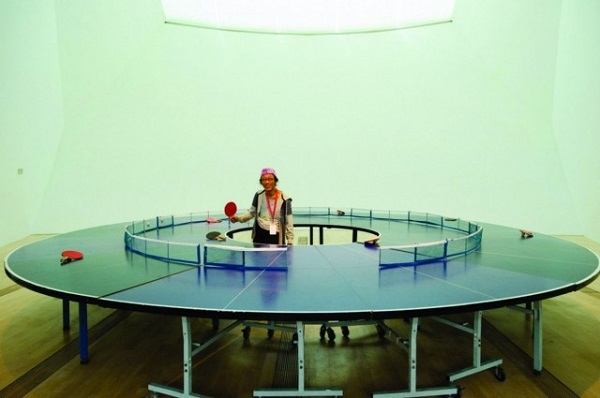 Singaporean artist Lee Wen recently brought his fantastical round ping pong table to the Hong Kong Art Basel. 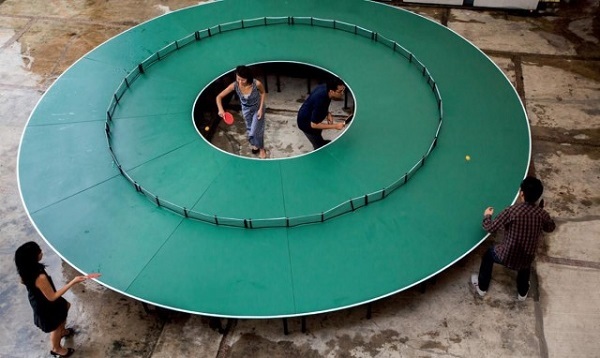 His work is titled “Ping Pong Go-Round” and it allows several dozen players to play against each other, with some standing in the doughnut-like hole in the center. 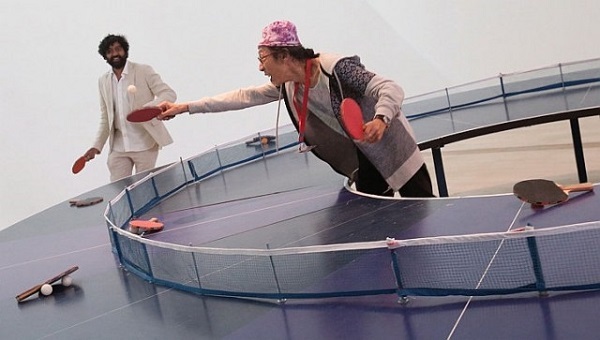 According to Wen, the humorous installation is made from 15 standard plywood tables and offers different perceptions of the limitations of the well-known game, allowing new possibilities for dialogue. 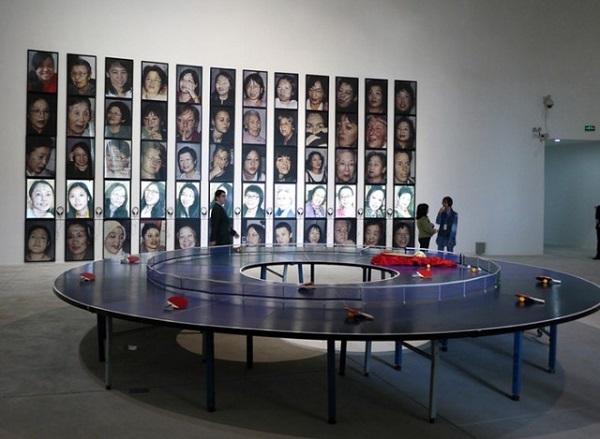 See more of Lee Wen's works on his website.